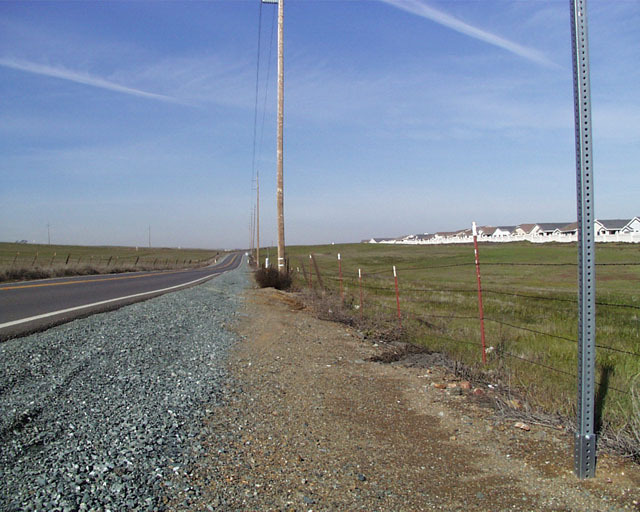 The current environmentally approved road project for Segment 3 consists of a two-lane highway from Balfour Road to Marsh Creek Road (Segment 3A) and using Marsh Creek Road as the connection back to existing SR4. Two additional lanes can also be constructed from Marsh Creek Road to Vasco Road at Walnut Boulevard (Segment 3B) depending on funding and traffic needs. The right of way corridor for Segment 3 will ultimately provide for a 4-lane divided highway with interchanges, similar to Segments 1 and 2. The project will be constructed in several stages. The ultimate second and third northbound lanes will be built first and used for two-way traffic until the southbound lanes are needed. Marsh Creek Road will be widened to create two 12-foot wide travel lanes, 10-wide paved shoulders and a compacted rocked shoulder for farm vehicles. Additional road widening and right of way will be required at intersections where left turn pockets are to be constructed. There are approximately 65 properties that access and/or have driveways directly off of Marsh Creek Road. 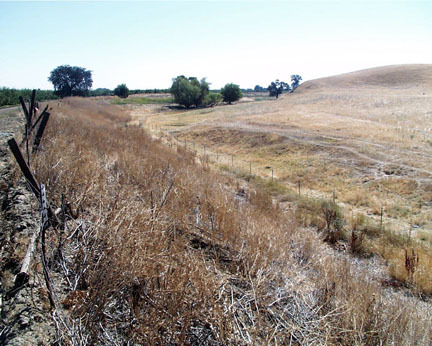 In 1994 the Authority made a commitment to residents and property owners on Marsh Creek Road to revisit the study in the Final Environmental Impact Report that designated Marsh Creek Road as the connector from the Bypass to SR4. 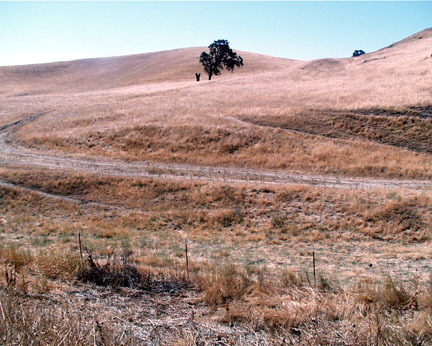 This study will update information in the 1994 study, including a reevaluation of the original alternatives to Marsh Creek Road. The Authority also made a commitment to hold at least one public workshop to solicit area impute on the project, especially improvements to Marsh Creek Road. It is the goal of the Authority that the first phase of the project be completed at or near the same time as Segment 1 to minimize traffic impacts on local roadways. Construction of this segment is scheduled to occur between 2005 and 2010 but may be accelerated if the current local development fees are programmed through the strategic plan process. The total estimated cost for the Bypass portion of Segment 3A is $14.4 million and for improvements to Marsh Creek Road, $5.0 million. Segment 3B is estimated to cost $4.0 million. The County Public Works Department is designing the both phases of the Segment 3 project and will be administering and coordinating all consultant contracts and engineering studies on behalf of the Authority.